What Kind Of Yeast Infection Patient Are You? - YeastInfection.Org by Eric Bakker N.D.
You are here: Home / Yeast Infection Diagnosis / What Kind Of Yeast Infection Patient Are You? May 31, 2013 by Eric Bakker N.D.
Are you a category 1, 2 or 3 yeast infection patient? After being in clinical naturopathic practice for 25 years, you do tend to see a lot of patients over a prolonged period of time, tens of thousands in fact. 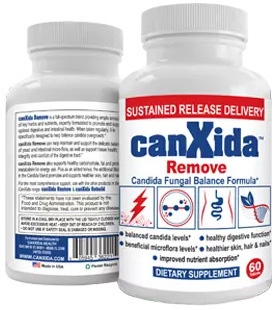 In that period of time, I worked out that there are three basic kinds of Candida patients I tend to see, and this post may explain a little to those out there who tend to have a poor recovery from a chronic Candida yeast infection. Try to figure out if you are patient # 1, 2 or 3, you will soon recognize which category you are in. It should come as no surprise that you will only get out of your Candida program what you put into it, and the more serious and committed you are, the quicker and easier it will be to get great results! These are the kind of patients make up about sixty percent of the people we regularly see as health care professionals with yeast infections. They have one or more strong symptoms that have become chronic and are looking for a quick and effective cure. They may also have recently developed an acute yeast infection and want it gone fast! They are easy to work with because they return regularly for follow-up visits and are committed to making the right diet and lifestyle changes right from the start, after reading my book Candida Crusher. They take the dietary supplements as recommended and come back regularly for more supplements when they run out. They may have taken an antibiotic in the past but now know the destructive powers of these drugs and try to avoid pharmaceutical drugs whenever they can. These are the kind of patients that make up approximately 25 percent of the people I see with yeast infections. They tend to be somewhat more care-free in their approach to fighting their chronic yeast infection. They tend to be “too busy” to make the right lifestyle and dietary changes and are not fully committed. They skip return-visits to my office, or just seem to “forget” appointments. They take dietary supplements “whenever they remember”, and sometimes come back to get more when they run out. They can become a # 1 category patient with a little persuasion and support, but unfortunately there are plenty in this group who end up becoming # 3 type patients. I guess their priorities are just not there, or their symptoms are not bothering them as much as the patients in category # 1. They are not that concerned about drugs and still take antibiotics when prescribed by their doctor, because “that wise doctor always knows best”. These are the kind of patients that make up the smallest percentage of those we see, approximately 10 to 15%. They come once and don’t come back again; they came for a “quick fix” or were only looking for a pill to control one or more symptoms. They can become # 2 patients in time with plenty of support and encouragement, but the reality is that many in this third category unfortunately don’t want to make any changes at all. These are the people who keep on eating and drinking the wrong kinds of things, they work much too hard and stress too hard. Many folks here are simply in denial and don’t believe in cause and effect, others are more interested in lotions and potions to “cure” their yeast infection but want to continue on drinking wine or beer, eating take-out and generally contributing to one or several of the underlying causes of their chronic yeast infection. And because they don’t address the causes, they end up feeling half-well & half-sick for many years, sometimes all their lives. My book Candida Crusher contains plenty of information to ensure your recover quickly and permanently from a yeast infection. Have you got your copy yet?